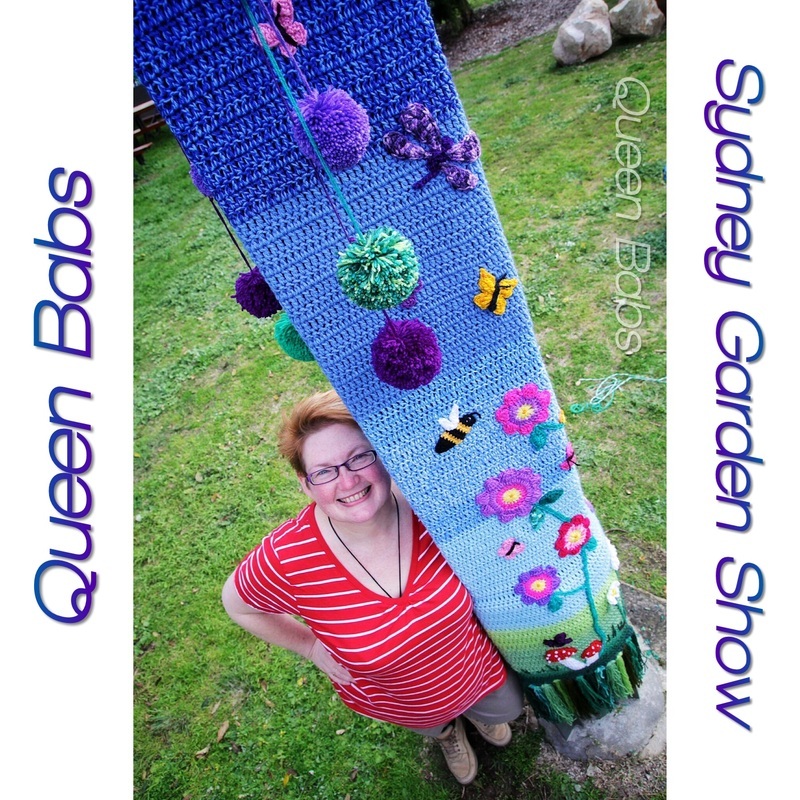 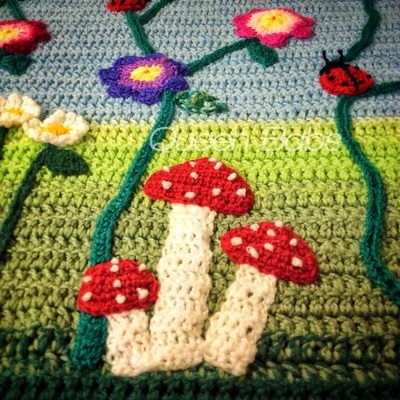 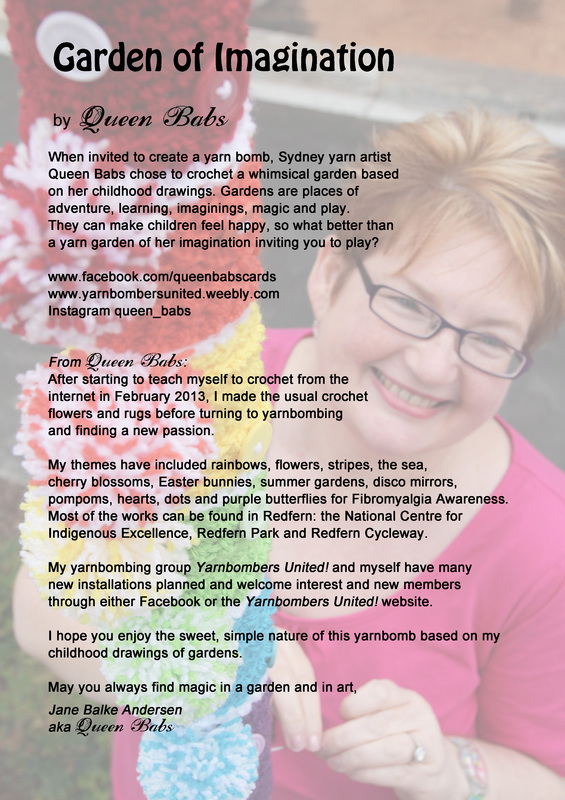 When invited to create a yarn bomb, Sydney yarn artist Queen Babs chose to crochet a whimsical garden based on her childhood drawings. 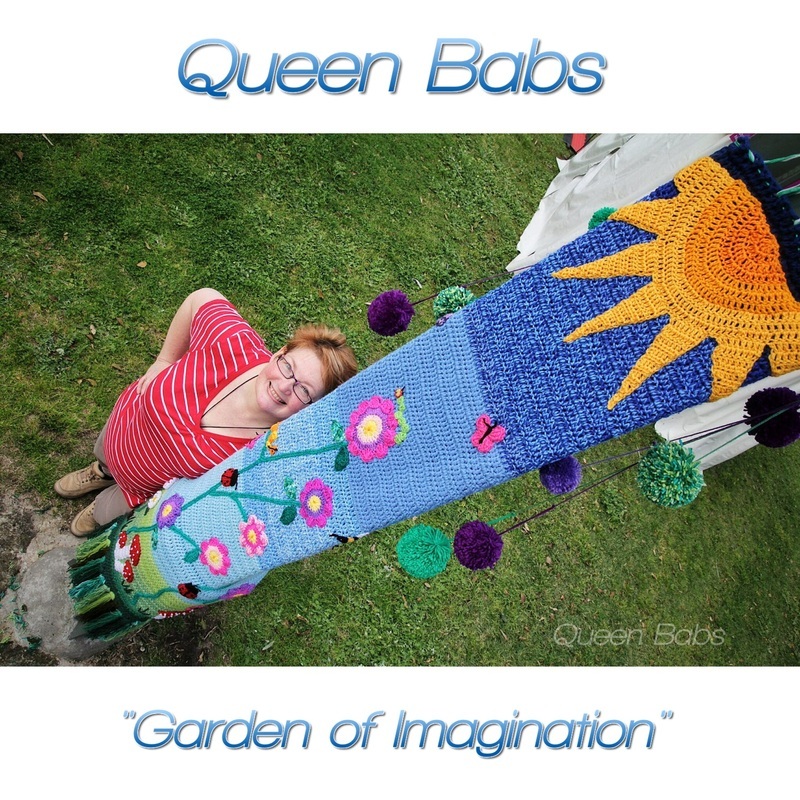 Gardens are places of adventure, learning, imaginings, magic and play. 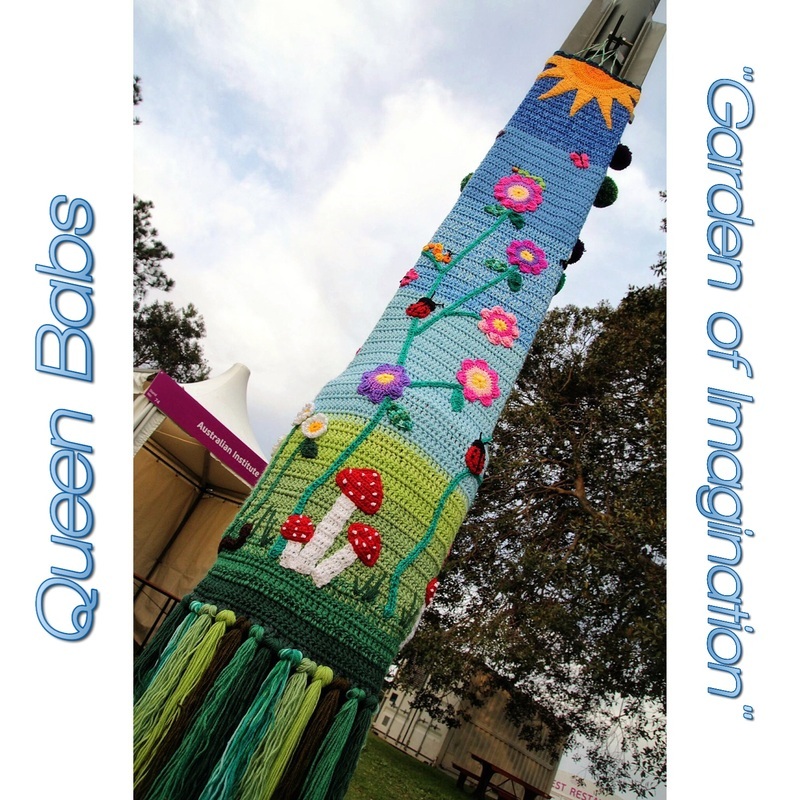 They can make children feel happy, so what better than a yarn garden of her imagination inviting you to play? 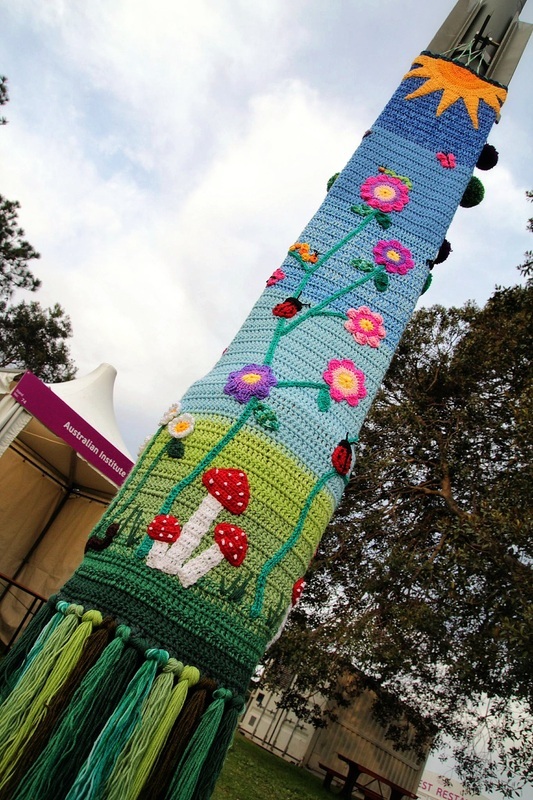 The yarnbomb varies in size to fit from 97cm-90cm wide and stretches approximately 212cm long which includes 188cm of crocheted length and the rest is tassels. 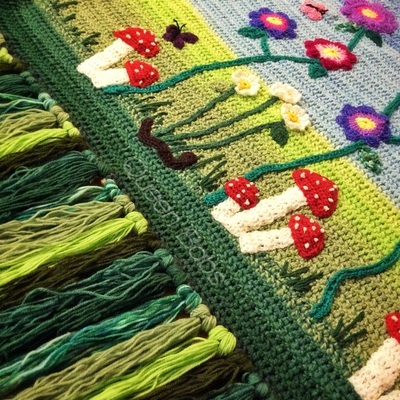 It is crocheted using 2 balls of yarn at a time to achieve the graduation of colour and the mottled look in grass and sky. 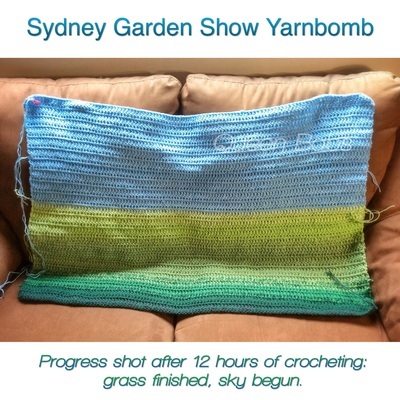 I stopped counting the balls of yarn after 14 balls, but I think 22 is a fair estimate. I crocheted the base and most of the decorations and sewed it all together in 2-3 weeks, some days working 10 hours. 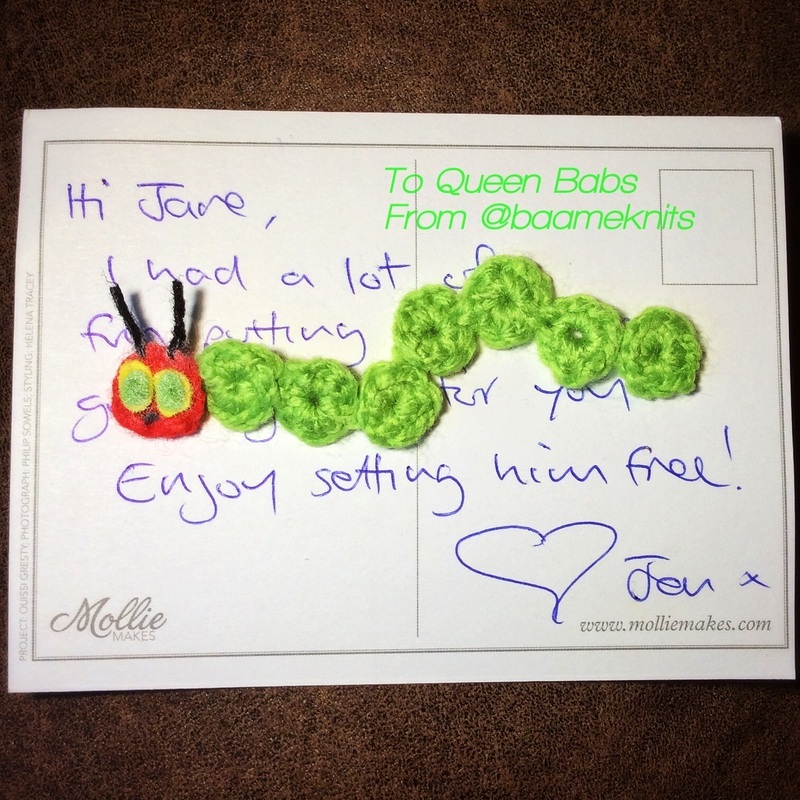 The talented Jenni of Baa-me Kniits @baamekniits kindly sent me the caterpillar that sits on top of the main flower, my clever friend Karen Stephen aka @westykazz and Yarnbombers United member made all the flowers, a dragonfly and the yellow butterfly, my mum Valerie made a leaf and most of the pompoms for the installation. 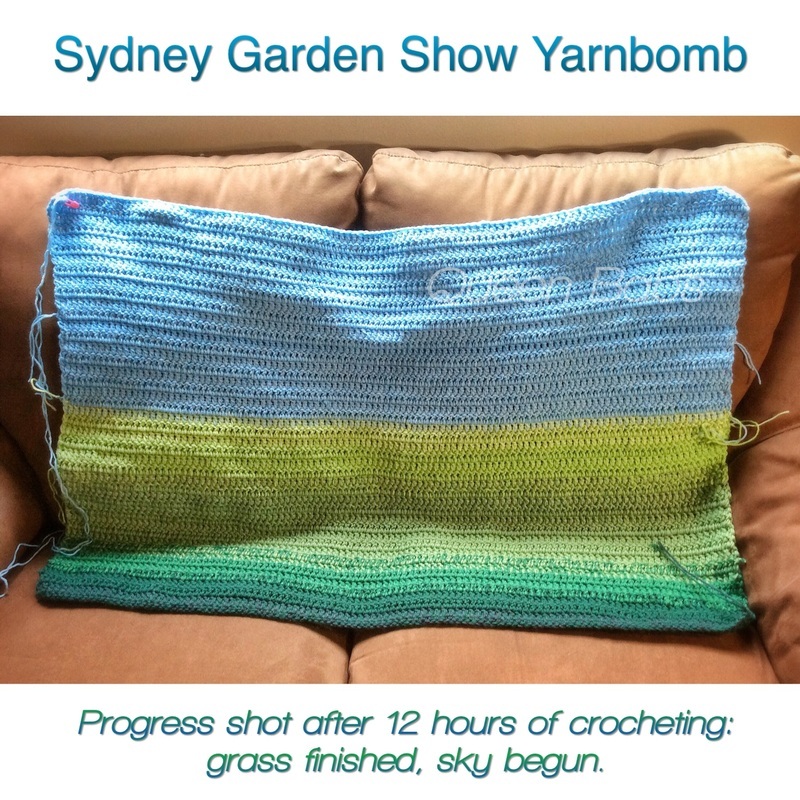 My husband Martin aka @jam_project supported my never ending crocheting and sewing with cups of tea, supportive hugs and finding me funny B grade movies to watch. 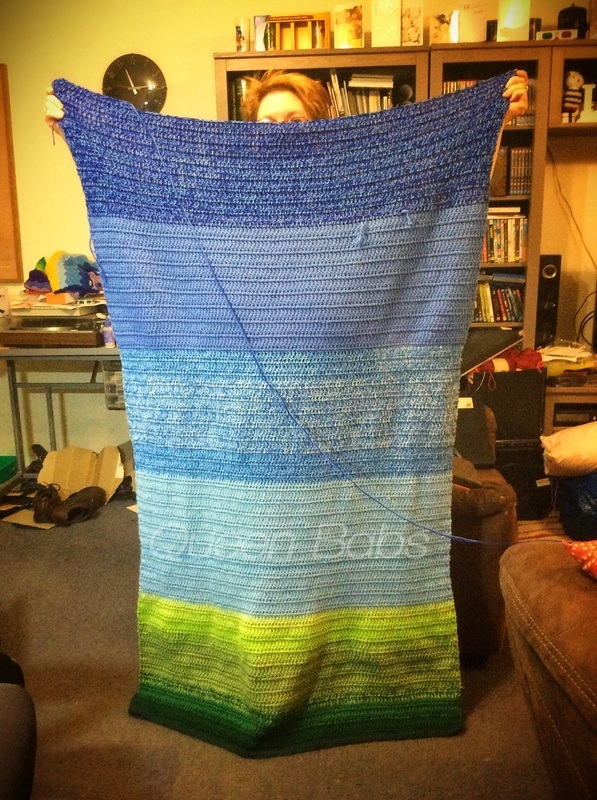 He also installed it for me. 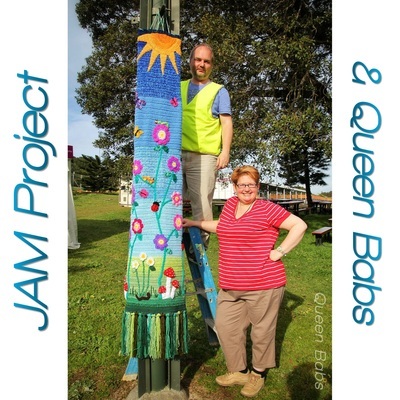 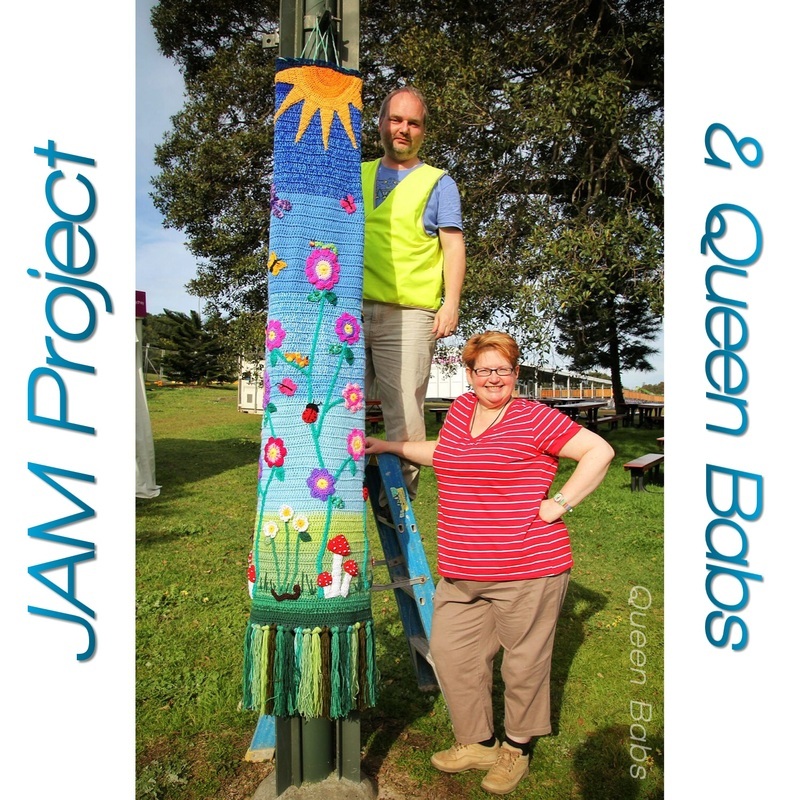 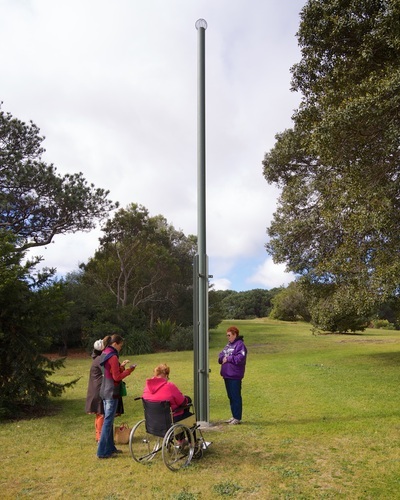 The pole to be yarnbombed in Centennial Park. 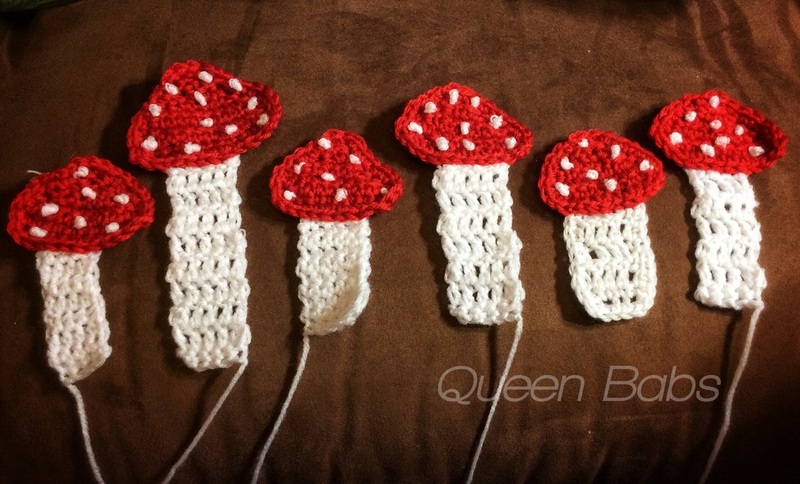 Measuring up and checking details. 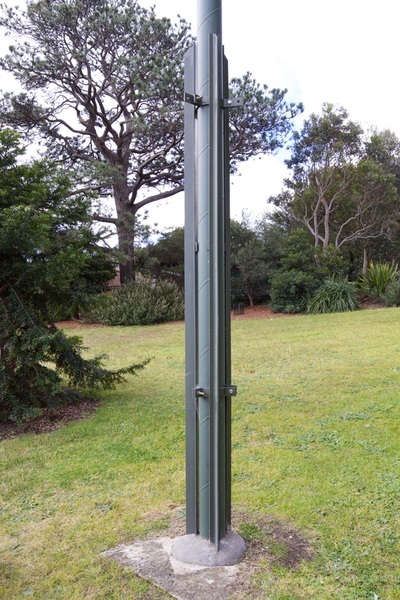 The pole with metal bands and weird bolts . 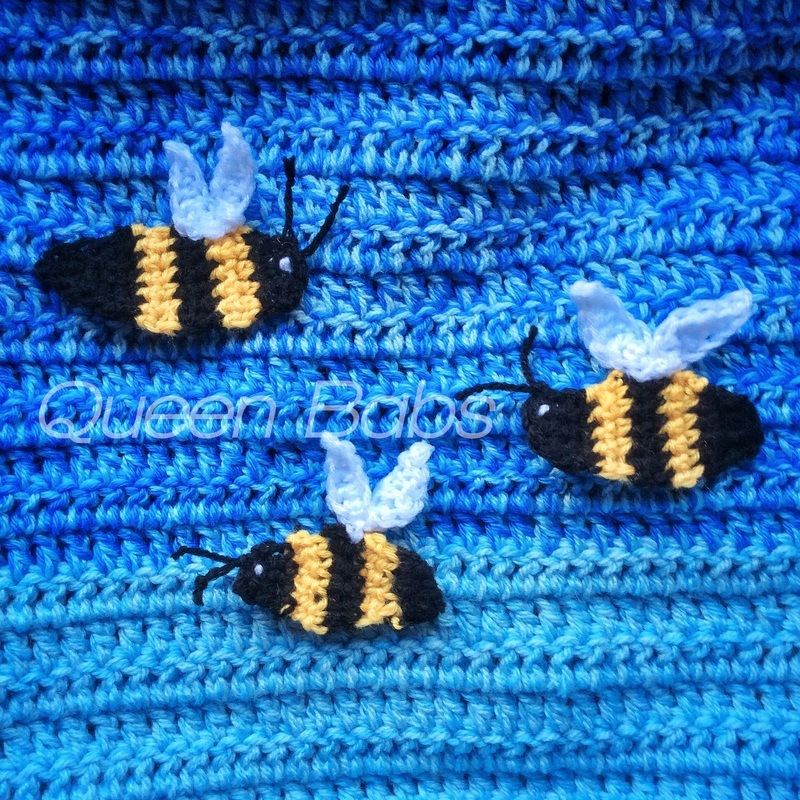 I created a bee pattern for the yarnbomb. 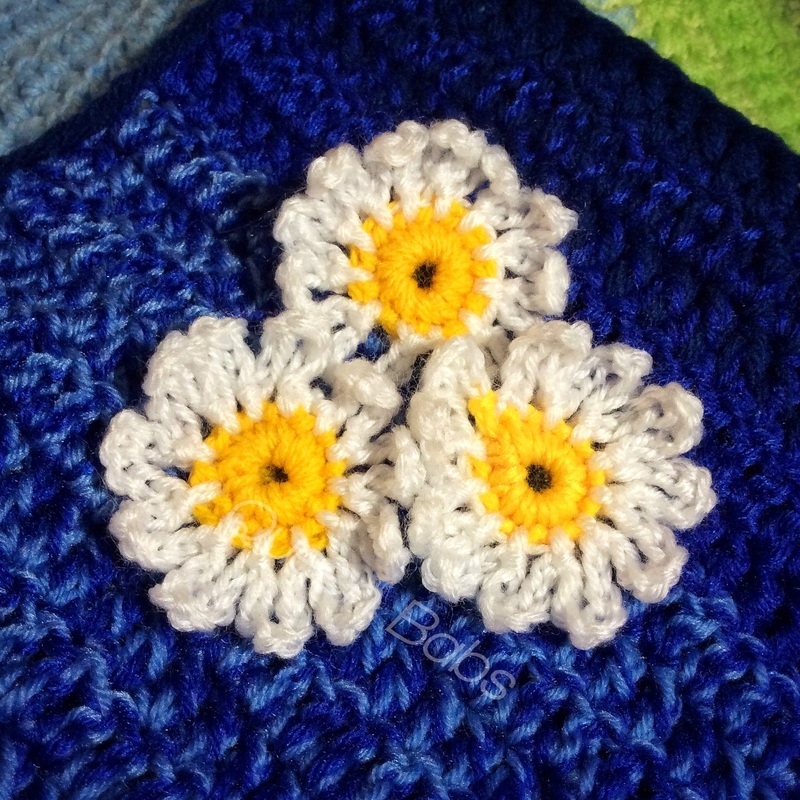 It is available for free under Patterns and Tips here on the website. 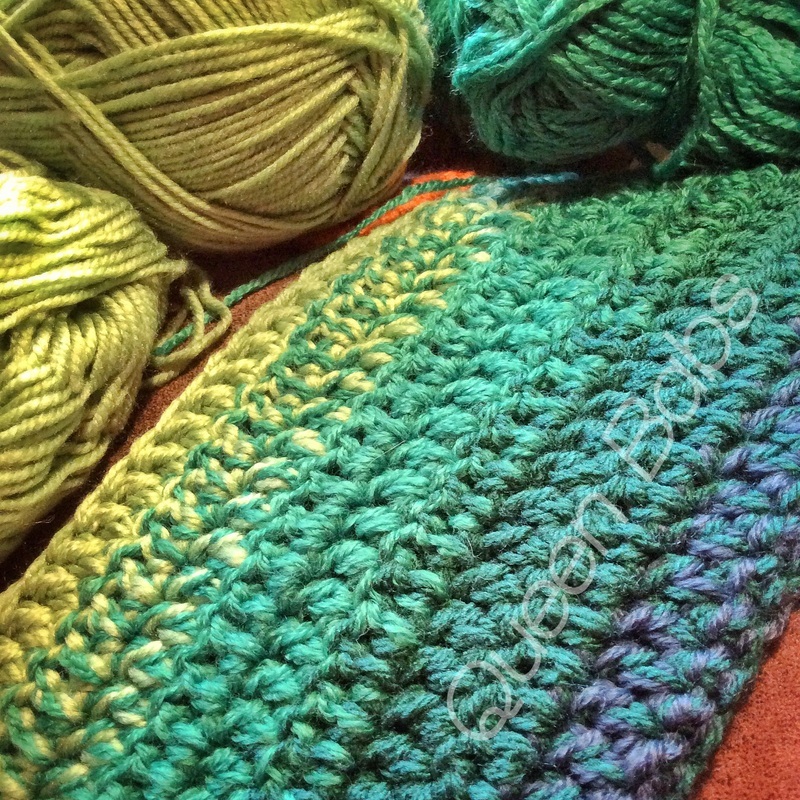 The grass of the base begun with 6 shades of green. 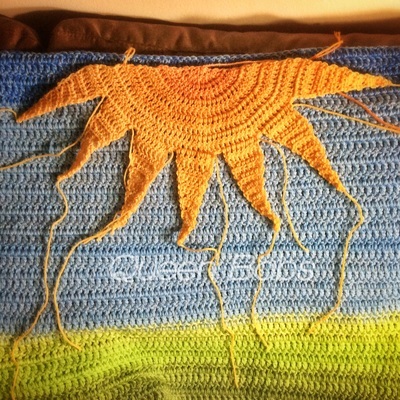 Grass finished and blue sky begun. 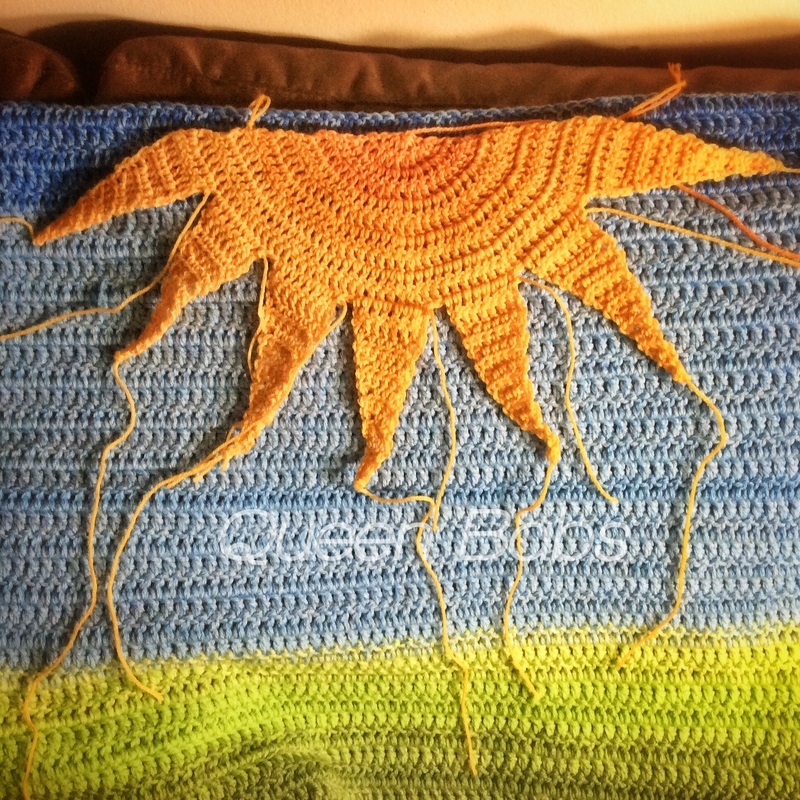 I created a sun to match the drawings I did as a child. I made several toadstools in various sizes. I embroided french knots to create the spots on the tops. 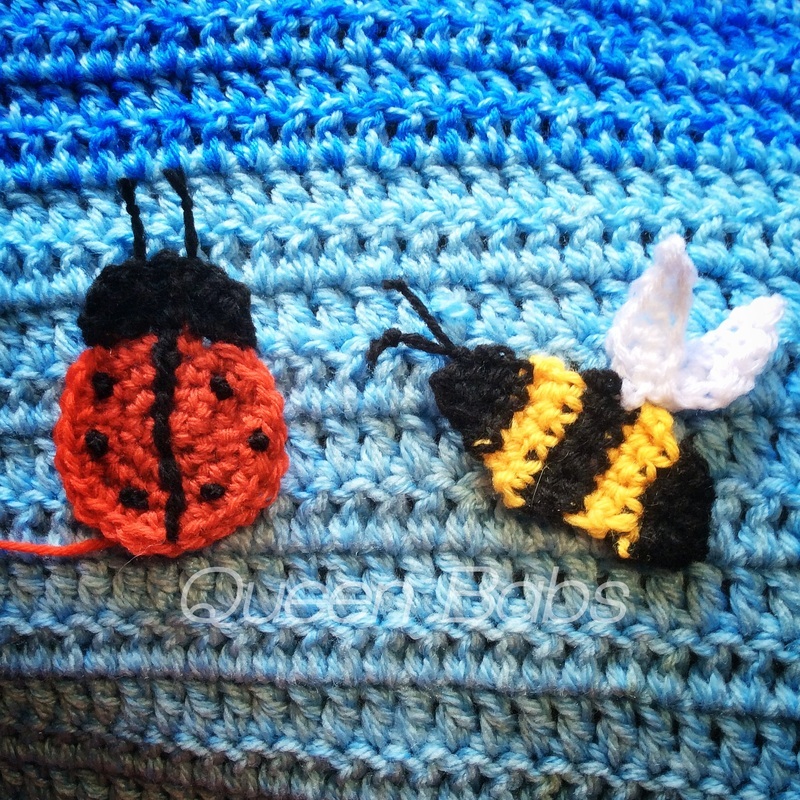 I made 2 ladybugs and I will write the pattern up and share it eventually. Daisies made by Karen Stephen for the installation. 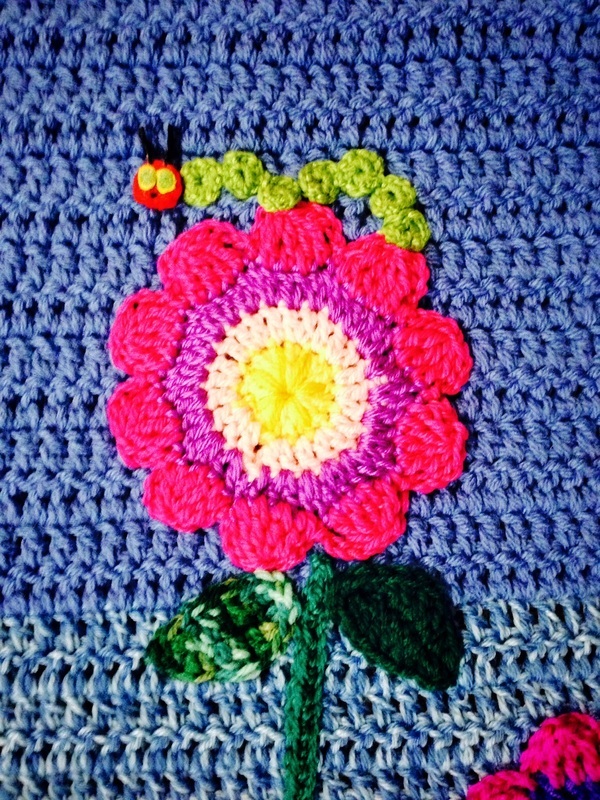 Trying out the decorations on the base. 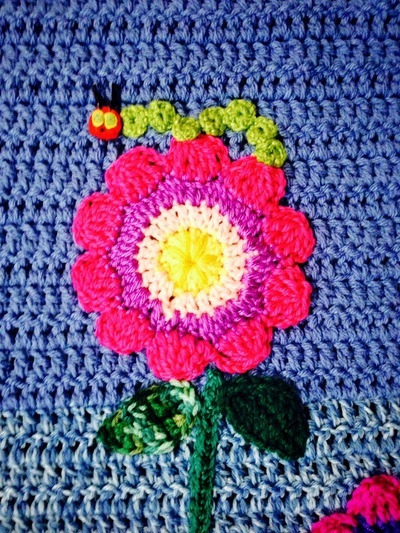 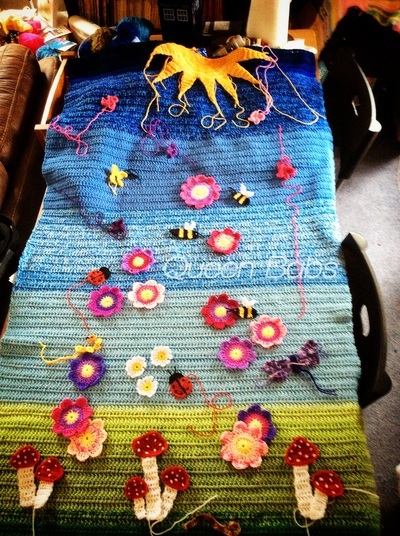 Caterpillar by Jenni of Baa-me Kniits & flower by Karen Stephen. 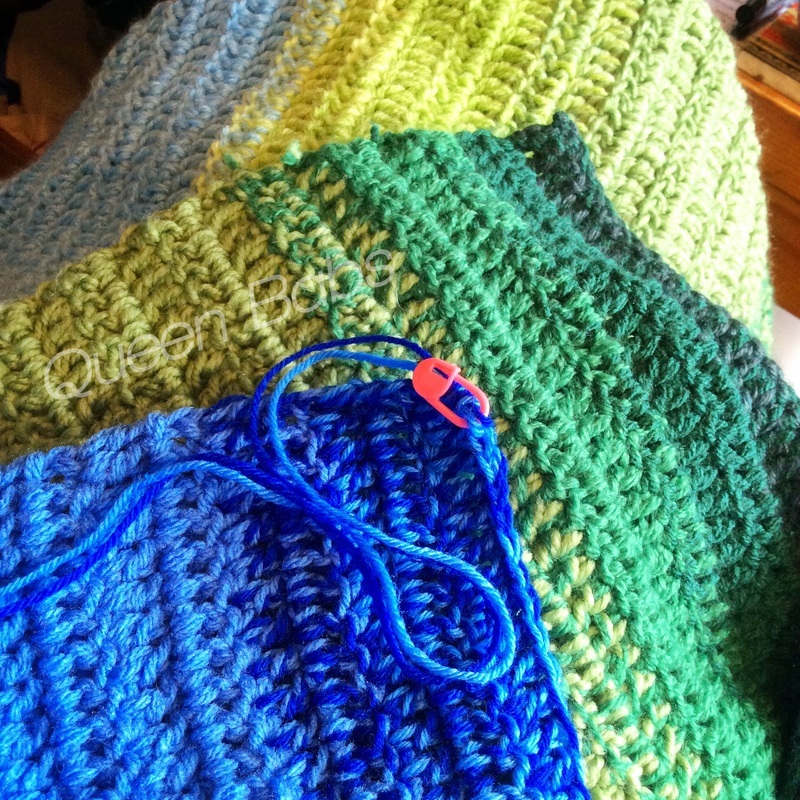 Adding the tassels which used 6 balls of yarn.